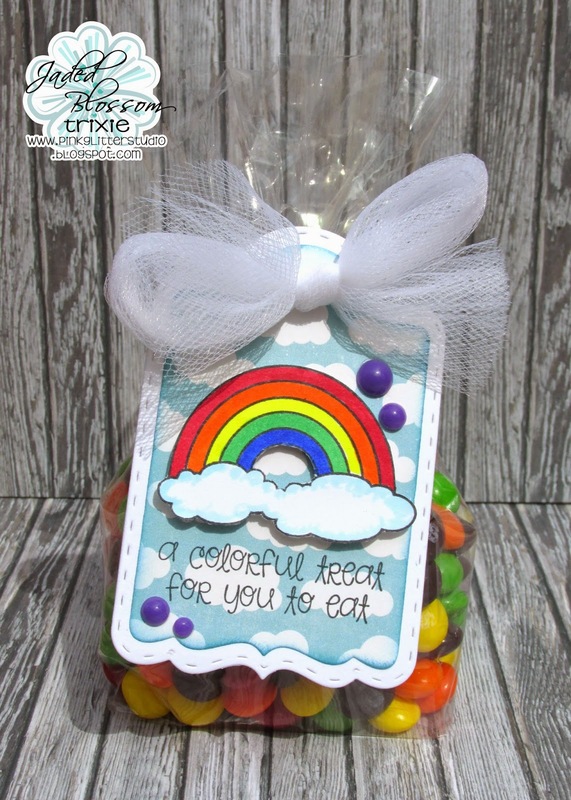 Monthly Challenge: Create ANY Treat plus a NEW DIE RELEASED! 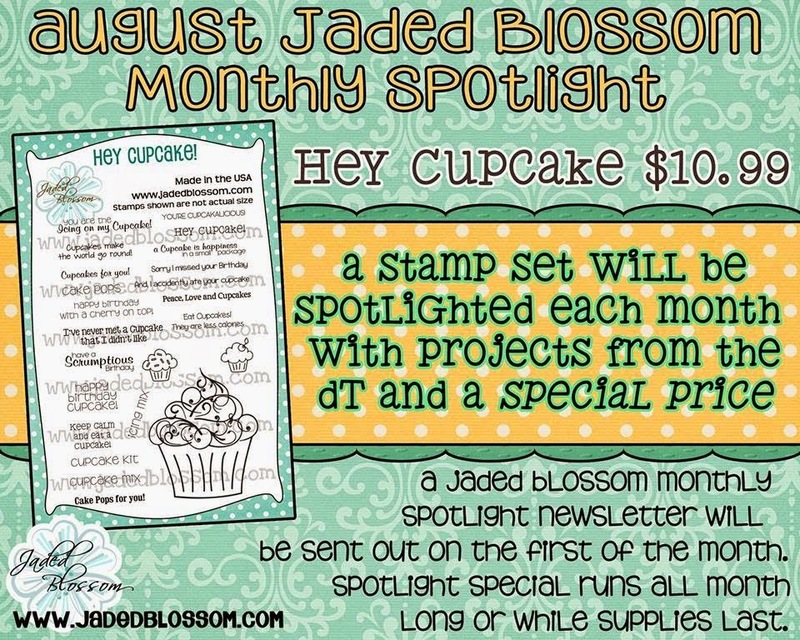 Of course we have our September Stamp Spotlight which just started TODAY! This months challenge is "Any Treat" and we are doing things a tad different with the stamp release this week. We are actually releasing this new die TODAY, August 31st (available for purchase this afternoon along with the Gotta Have it Now Bundle and other "Fun Extras"). 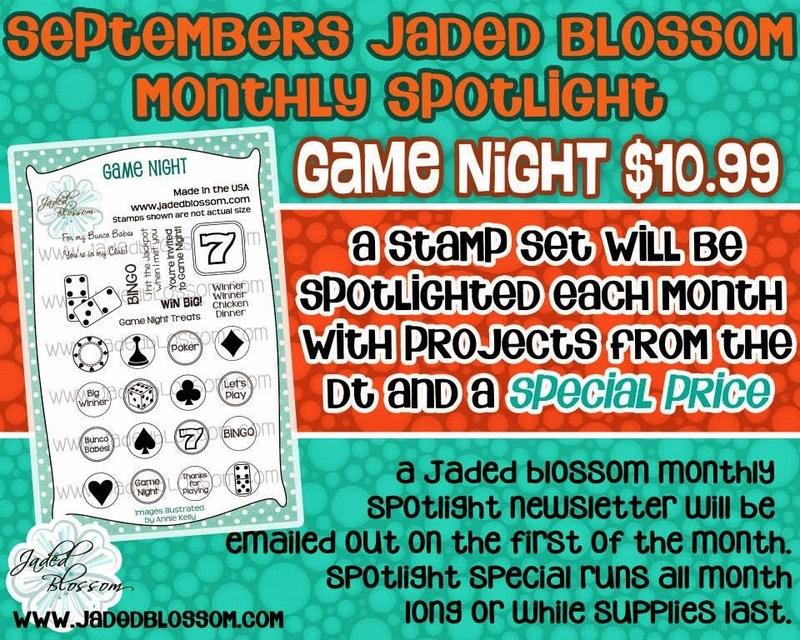 This die is NOT included in Septembers Stamp Release Bundle. This die is from the creative mind of Barb Orvis!! 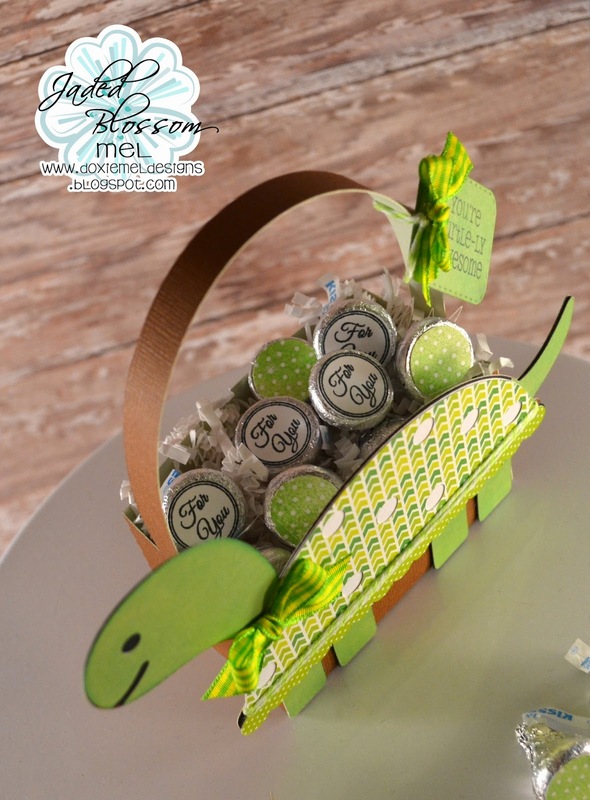 This die works as a topper die for treats but also works a tad differently too. 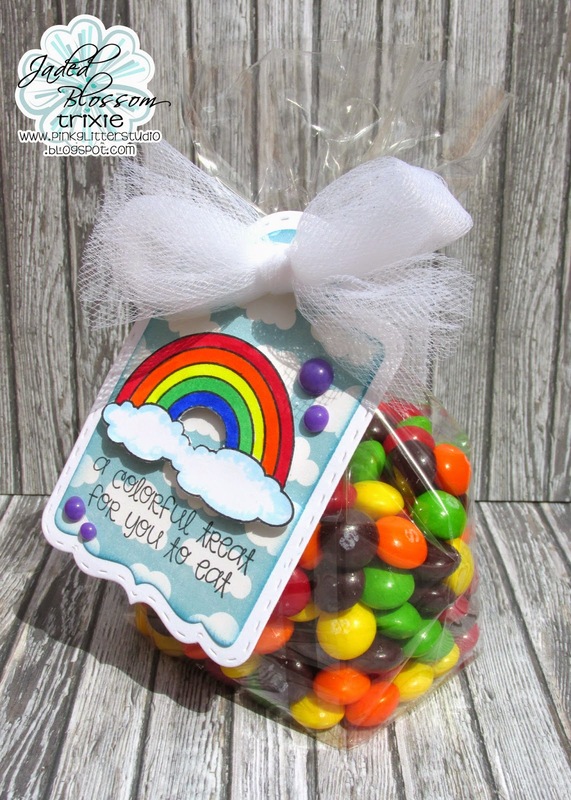 The gray piece is used to create tabs inside your topper die so that you can slide different candy or treat items through it. Most of our Design Team members used this new die below, make sure to check it out! Happy Thursday! 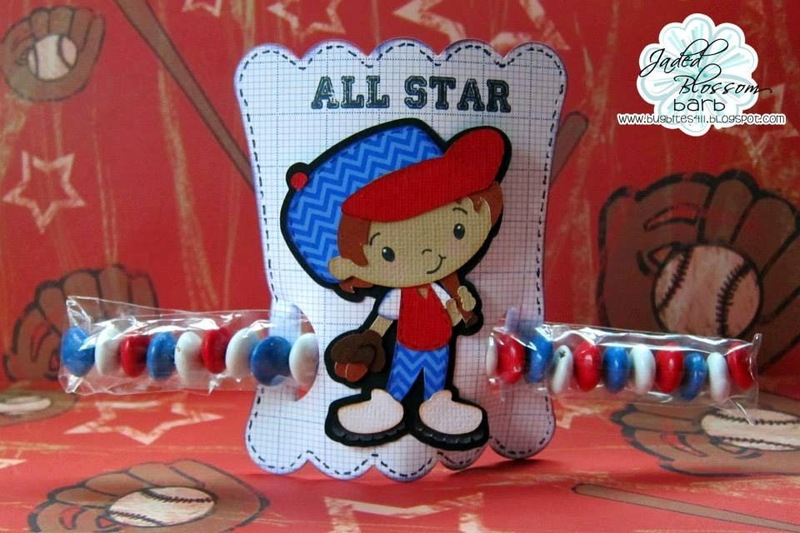 Before we get to Gigi's awesome project we have some winners to announce! Hello everyone! 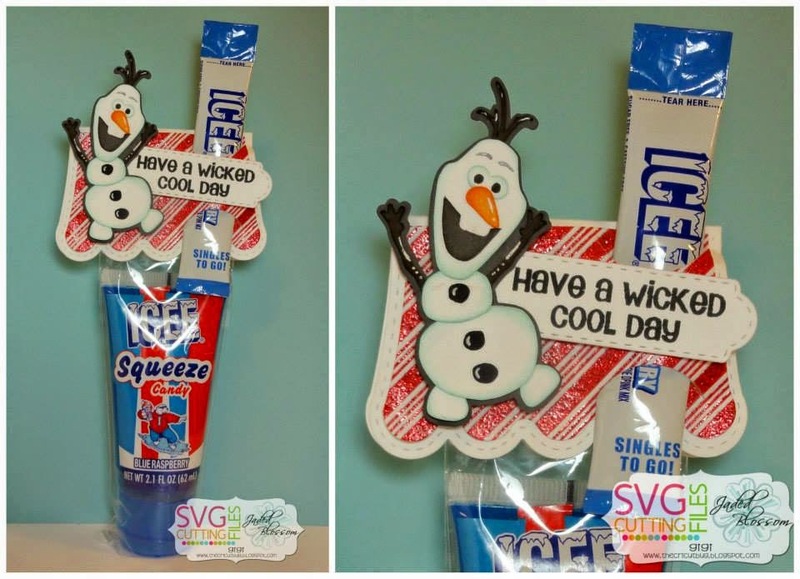 This is GiGi from The Cricut Bug and I have a fun project to share. I used several Jaded Blossom supplies to create this. I cut the Nugget Easel Drawer Box from SVG Cutting Files and added a gem brad for the drawer pull. 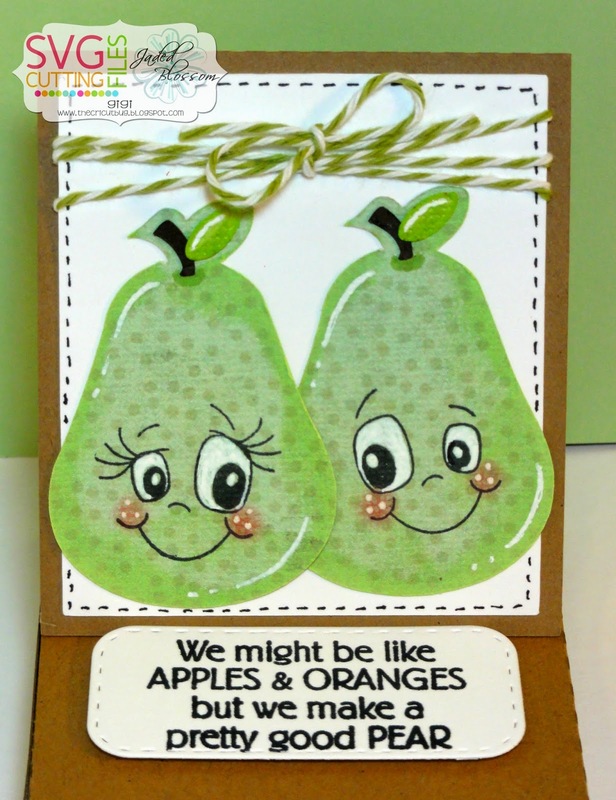 The pears were cut from the Kawaii Nerdy Fruit file and I his the faces before I cut them out and then stamped them with Peachy Keen Sweet and Silly Face Assortment stamps. 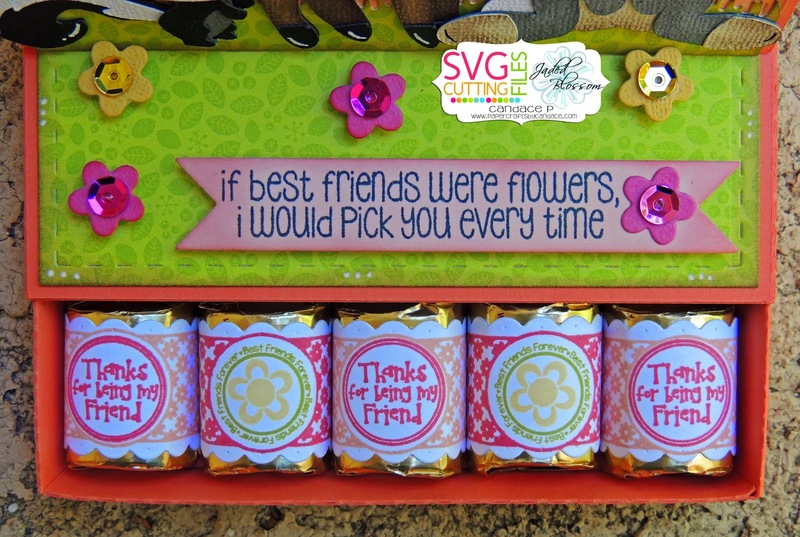 I cut the sentiment tag using the Jaded Blossom Candy Wrap Dies along with the nugget wrappers. 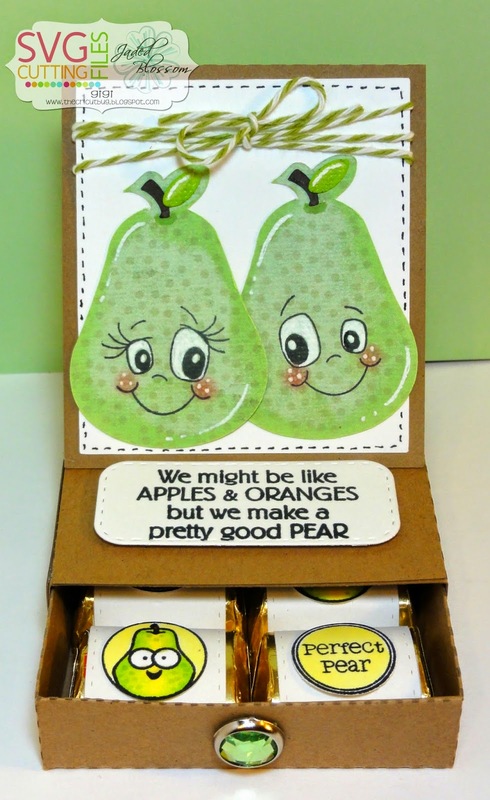 I stamped the sentiment from the Berrylicious stamp set and the pears and sentiments on the candy from the Fruity Candies stamp sets. 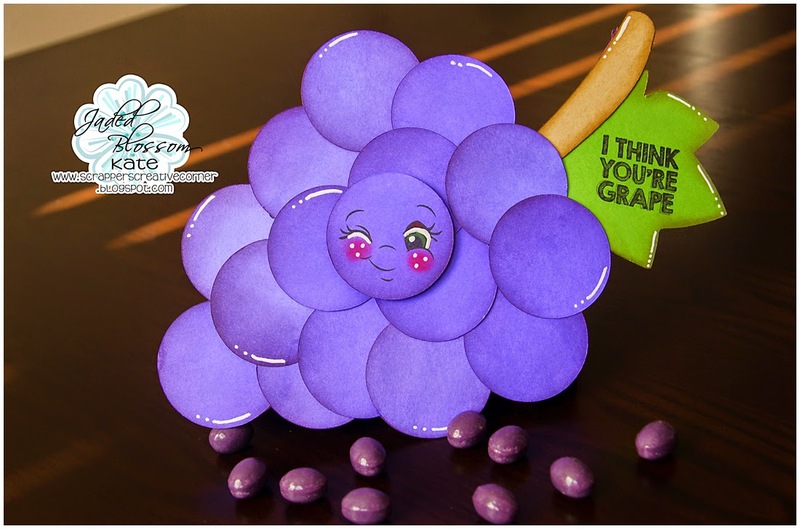 Jamie here to share a fun treat with you! 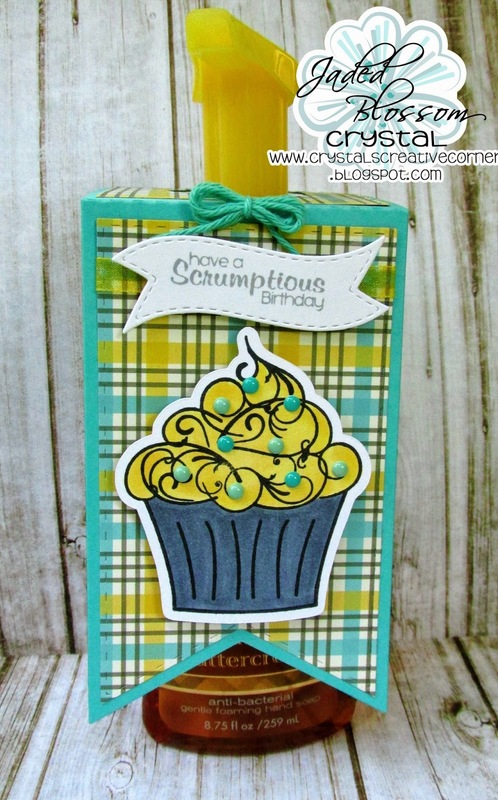 I used a sentiment from Here's the Scoop on a die from Mini Tag Dies 2. 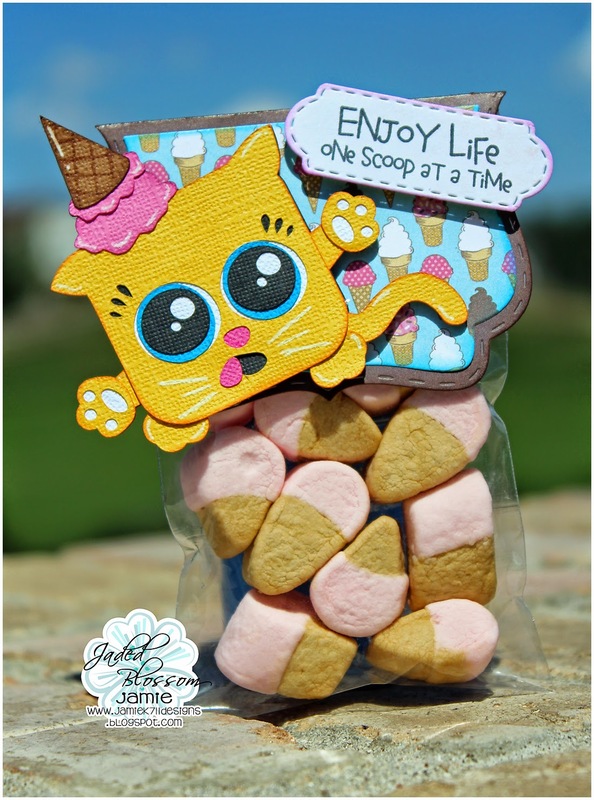 I filled a 3x4 bag with some ice cream cone marshmallows. I added the super cute Giggles Squaredy Cat to the Fancy Topper Die. It's Kate here with you today. BTW have you picked up our Monthly Stamp Spotlight yet, you better only a couple more days left that you can get it for that price. Happy Monday! Tanya from Crafting from Caffeine and today is my day. So excited to share this treat with you. 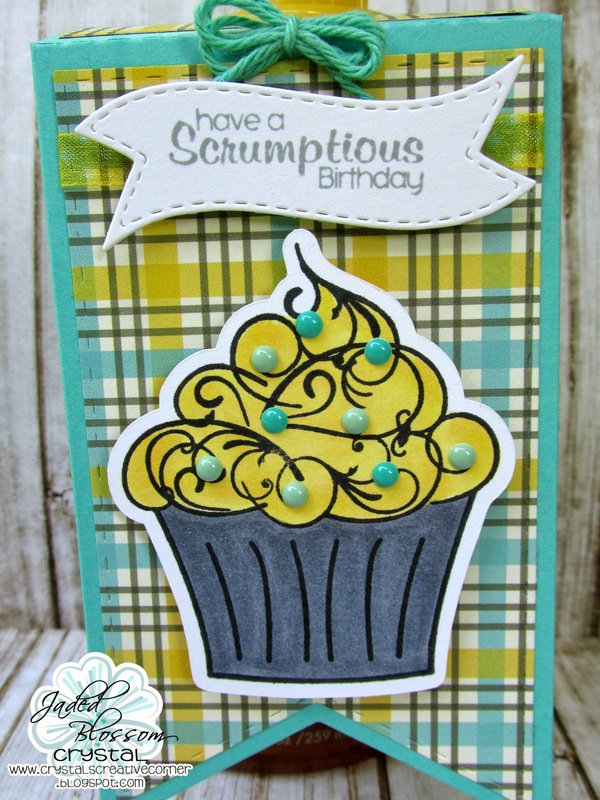 I used "Hey Cupcake" which is our Monthly Stamp Spotlight. Have a great Day and Come back soon! 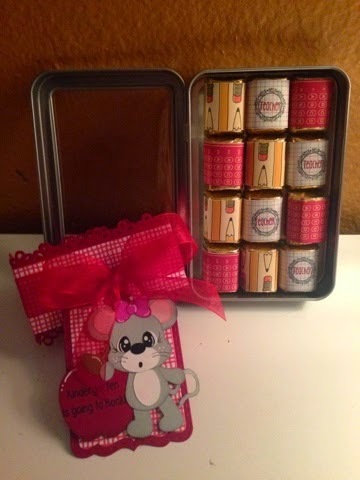 The candies are decorated with Simple Sayings Candies and the pattern is from the designer tapes. 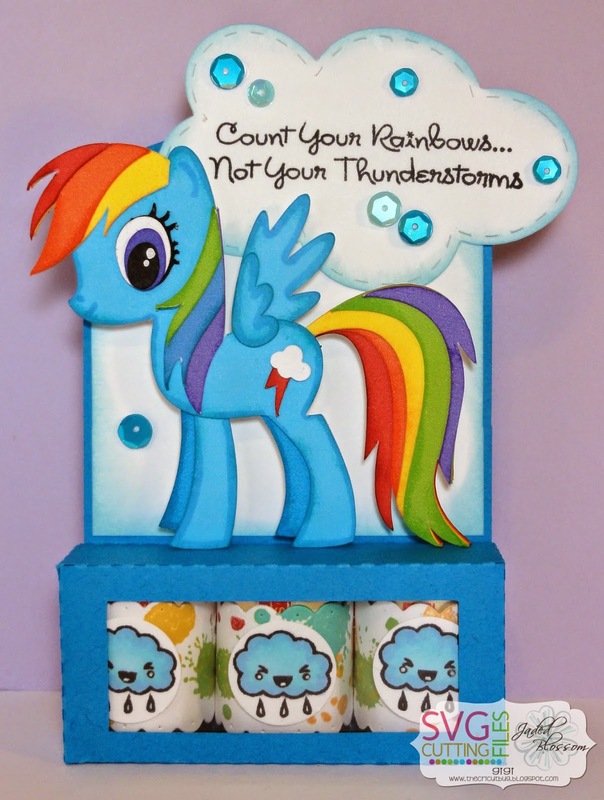 Trixie here and today I have a colorful treat to share with you. 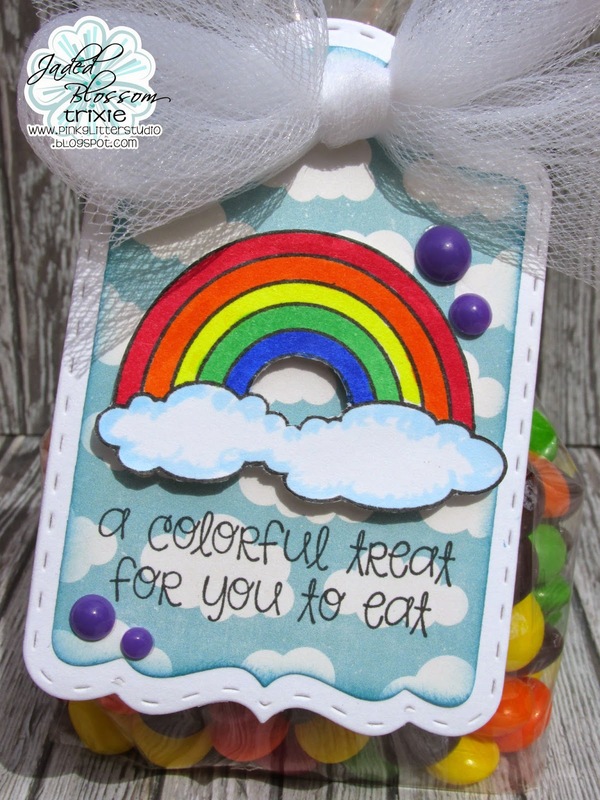 The Jaded Blossom's products I used are Dream in Color, Rainbow Seeds (Freebie from the August Stamp Release), Treat Tag Die and Gusset Bags. I colored the Rainbow in with my Copic Markers and cut it out by hand. 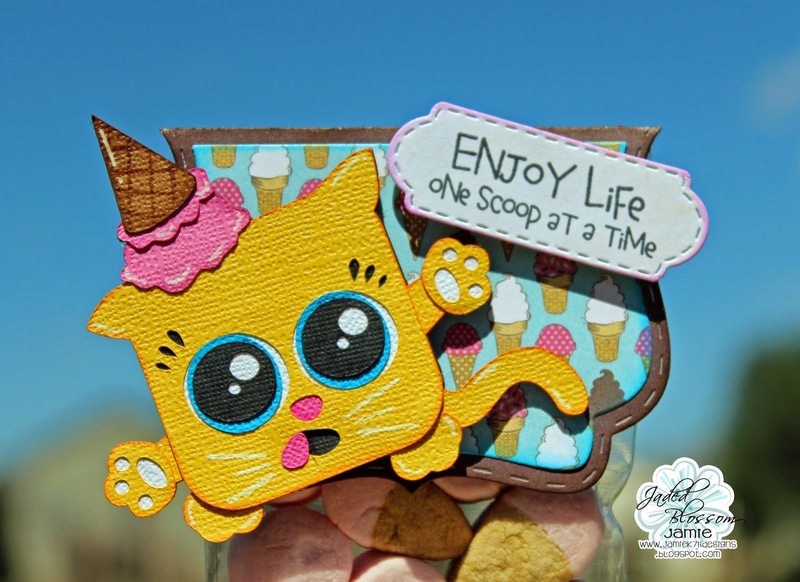 Put it on the Treat Tag Die and stamped a sentiment from Dream in Color stamp set. I filed the Gusset Bag full of Skittles!! Don't they look yummy!! Added a few Purple Jellies to the tag. 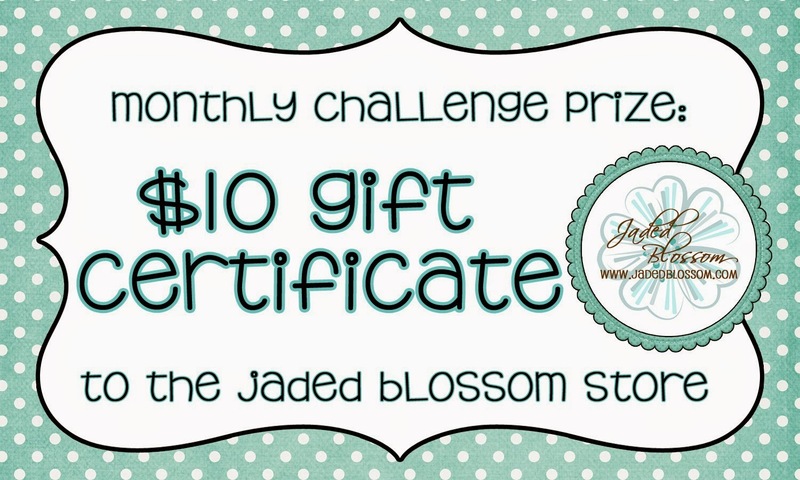 You can find them in the Jaded Blossom Store. Also used some white tulle. Hey everyone! 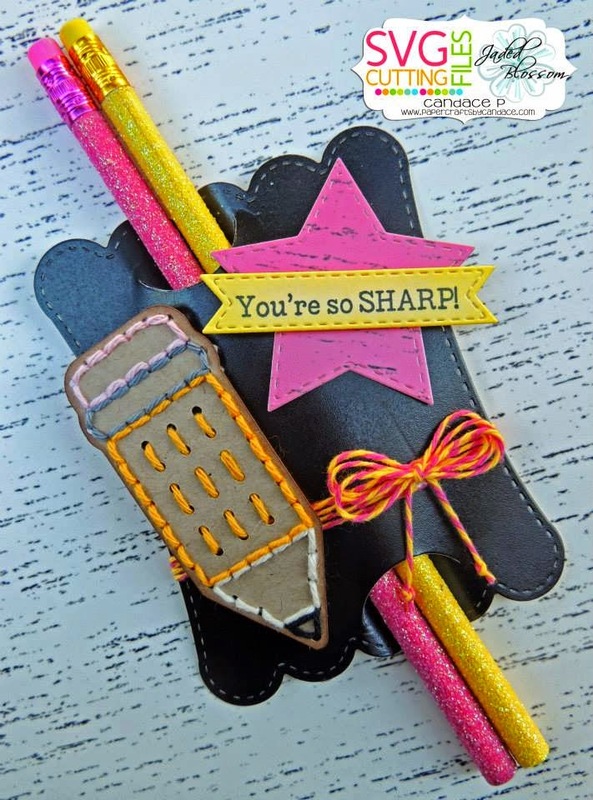 It is Crystal here from Crystal's Creative Corner! 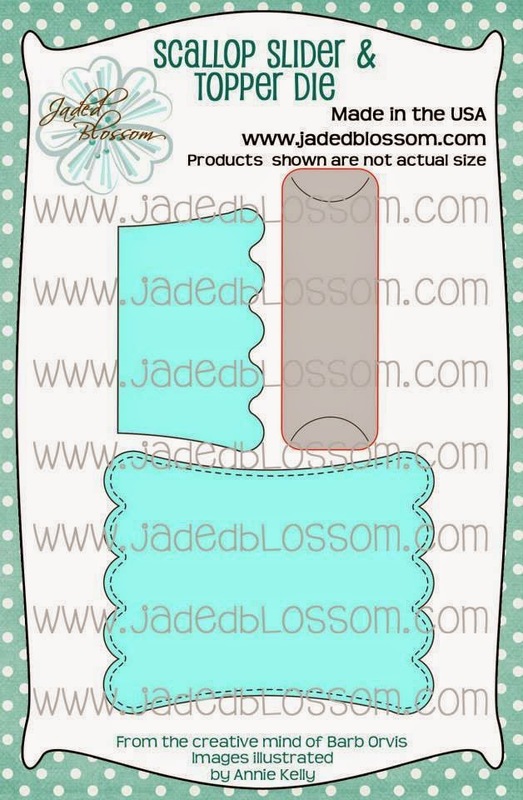 It is my Jaded Blossom Design team day! 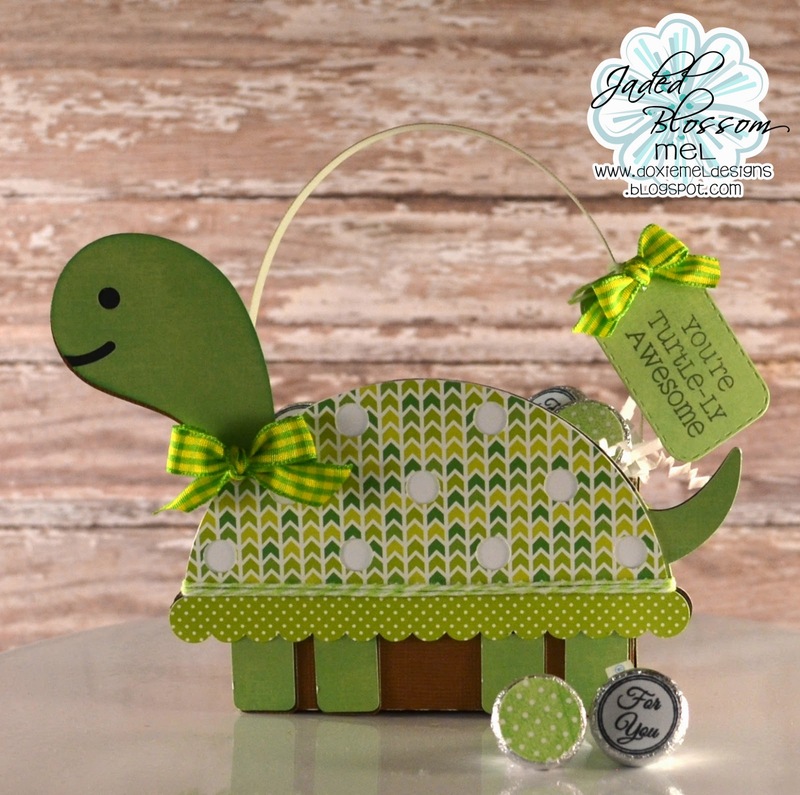 I used a die from Mini Tag Dies 2 for the sentiment. 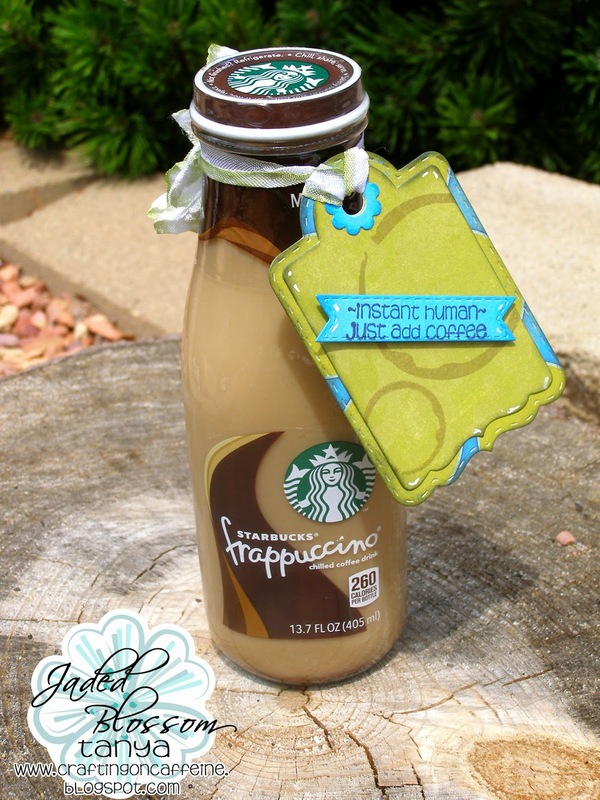 I put the wine tag on a Bath & Body Works Vanilla Buttercream Anti-bacterial hand soap! Fit pretty good! I also added some sprinkles to the cupcake using Queen & Co. Sprinkles. 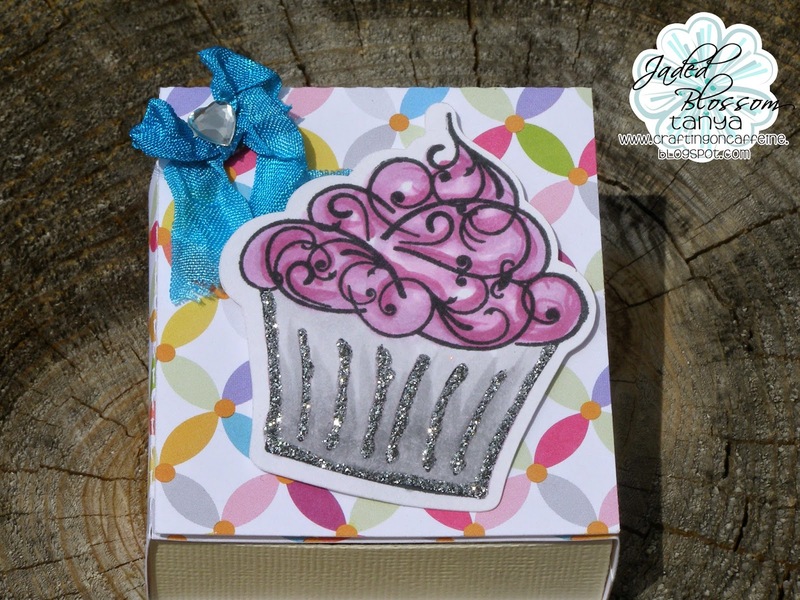 Don't forget that Hey Cupcake is the monthly spotlight this month! Hello everyone! 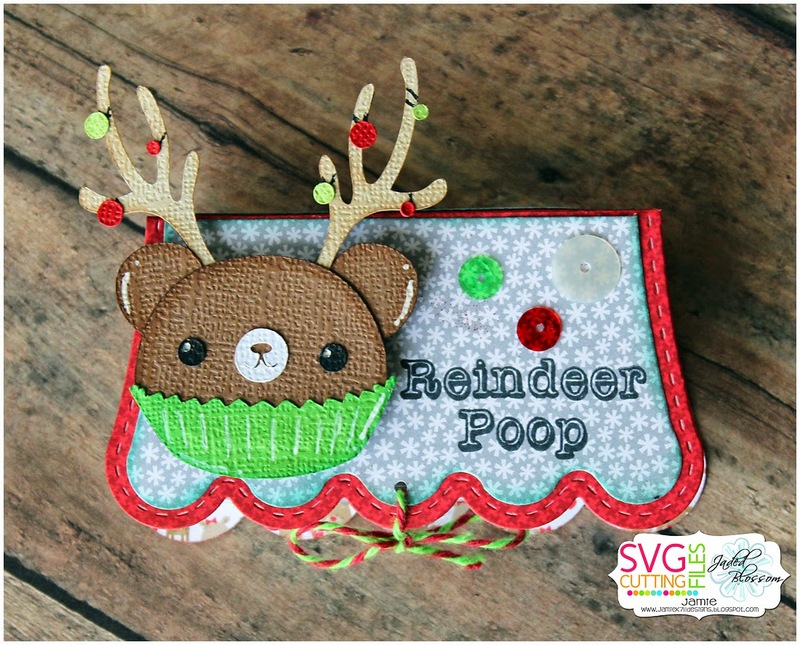 This is GiGi from The Cricut Bug and I have a super cute project to share with you. 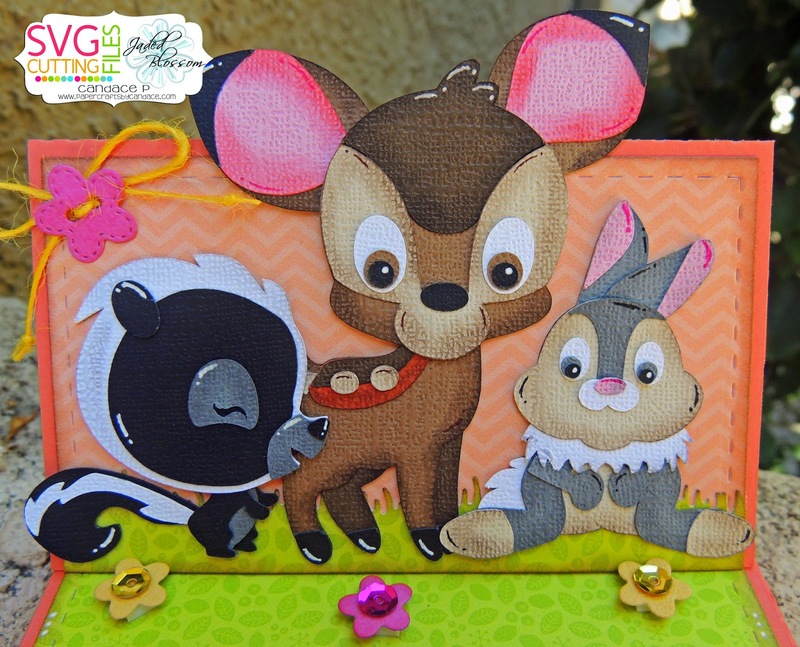 I used several JB products on this project, including some of the newly released stamps. 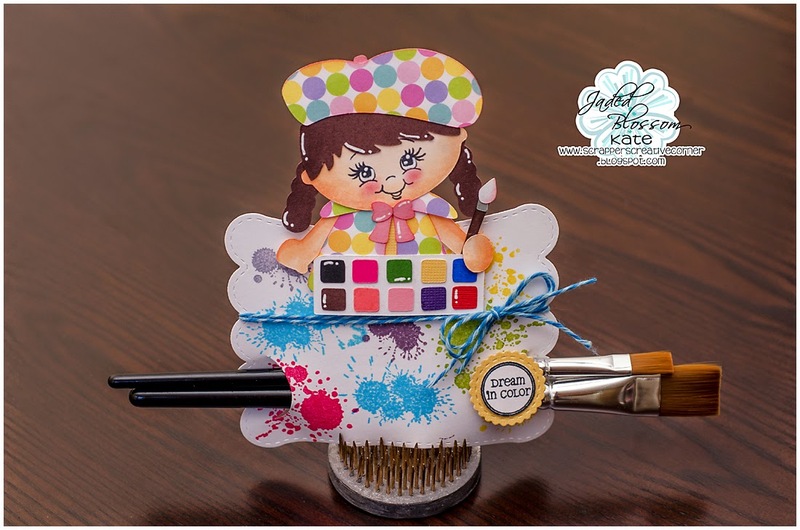 I LOVE these new Paint Splatters and Dream In Color stamp sets. 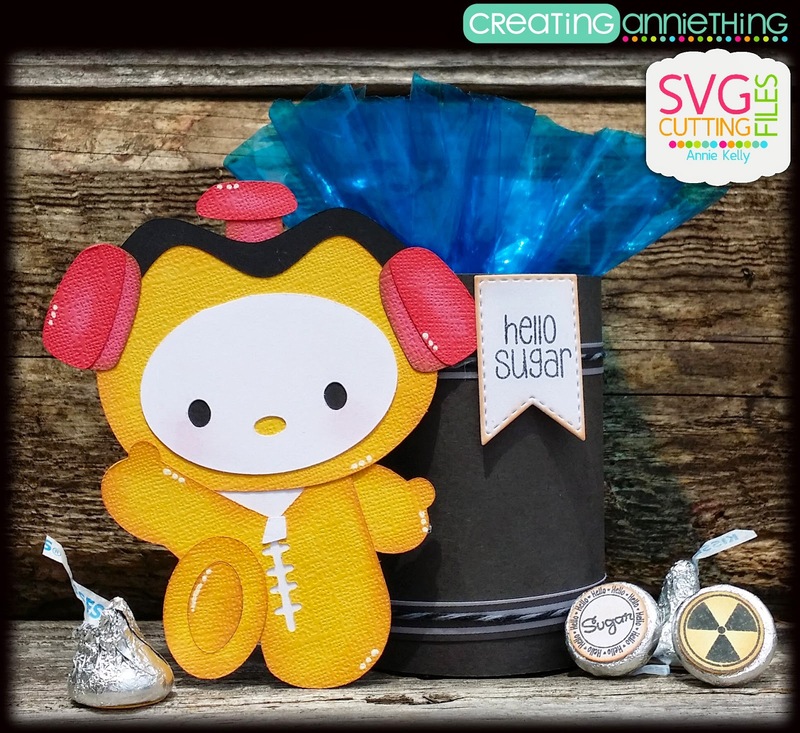 The box is cut from SVG Cutting Files Kawaii Sea Nugget Platform Box and I created a mat in my Silhouette program for the back of the box. 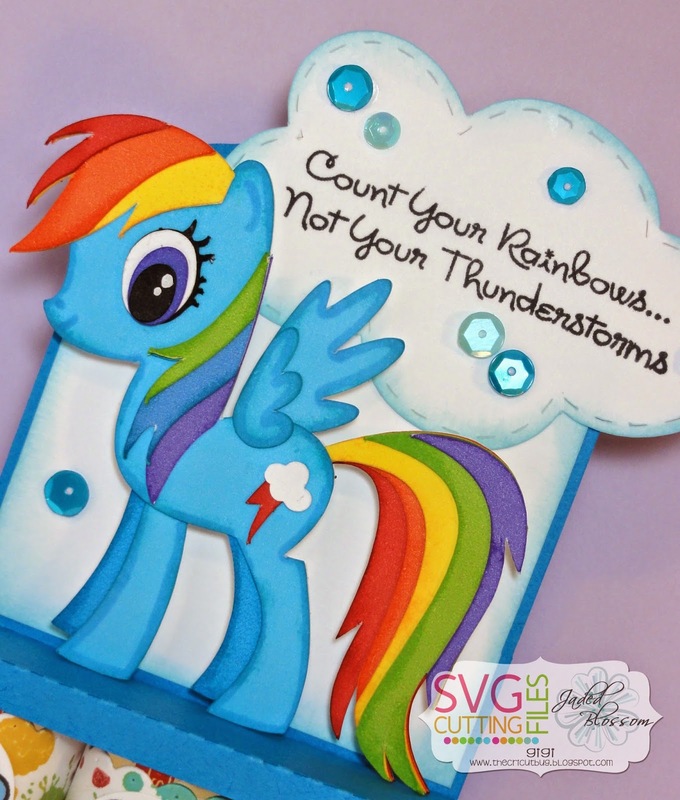 I cut that super cute Rainbow Dash from a free file that is available to members of the SVG Cutting Files Galleria Facebook page. 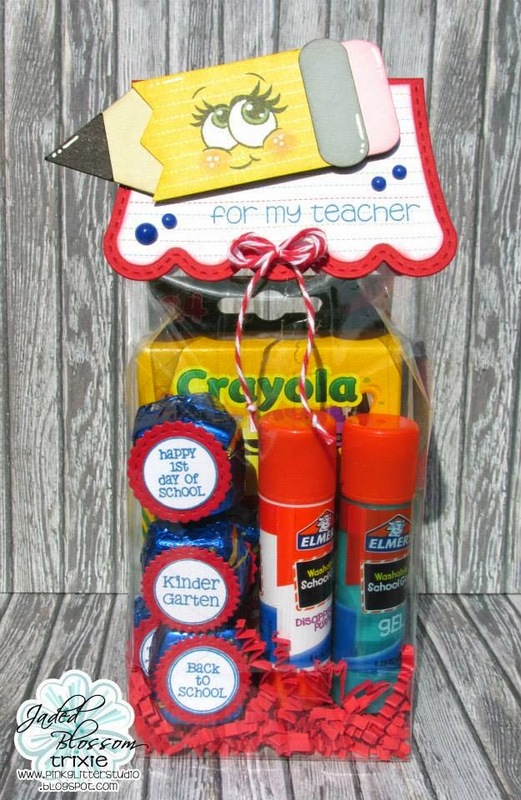 I added her to the box with pop dots and added a cloud I made up in my Silhouette program. 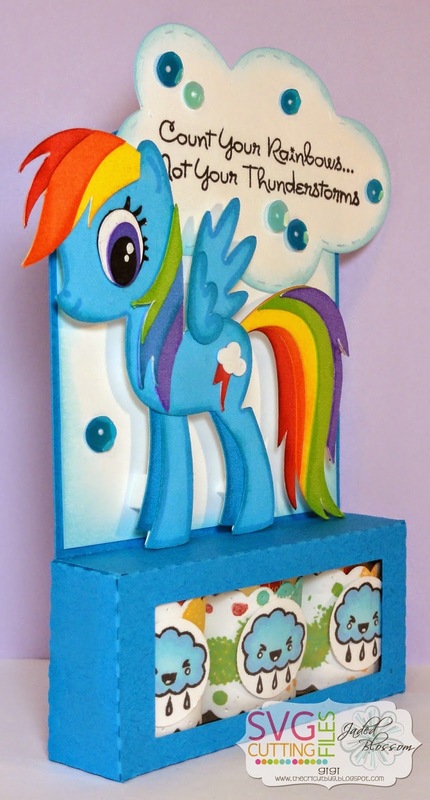 I stamped the sentiment into the cloud using the Dream In Color stamp set and added some sequins to it. 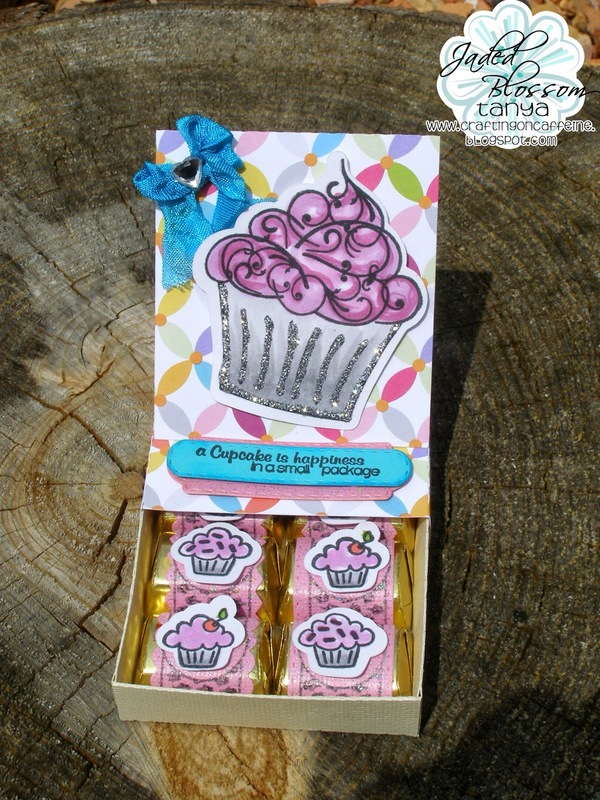 I cut candy wrappers using the Candy Wrap Dies and stamped them with the Paint Splatters stamp set in several different colors. 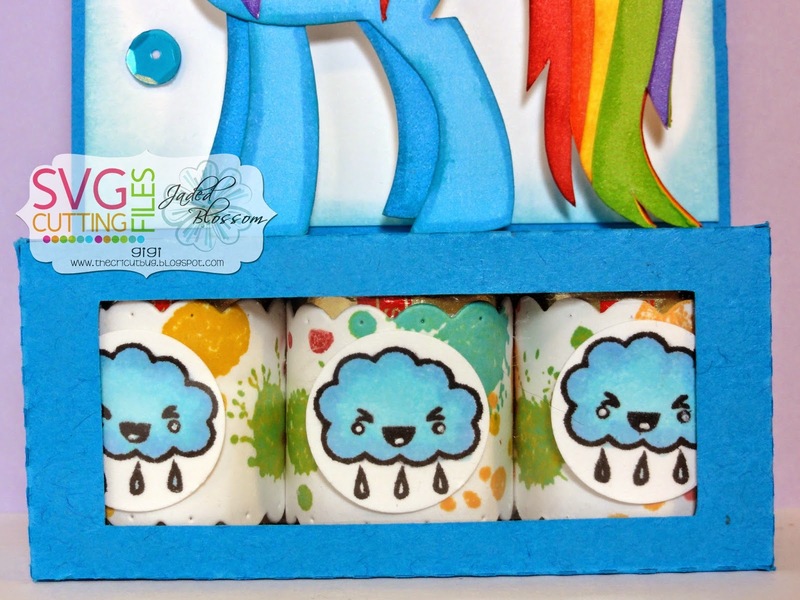 The clouds are stamped from the Kawaii Candies stamp set and I punched them out with a circle punch and glued them to the fronts of the candy. 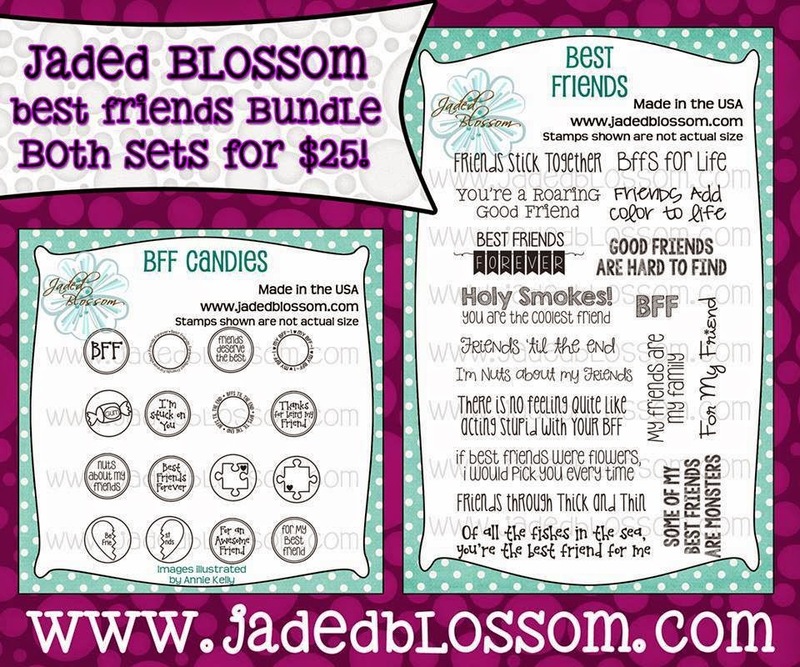 "Like" us on Facebook and share your Jaded Blossom Stamps Creation with us in our Garden of Creativity. 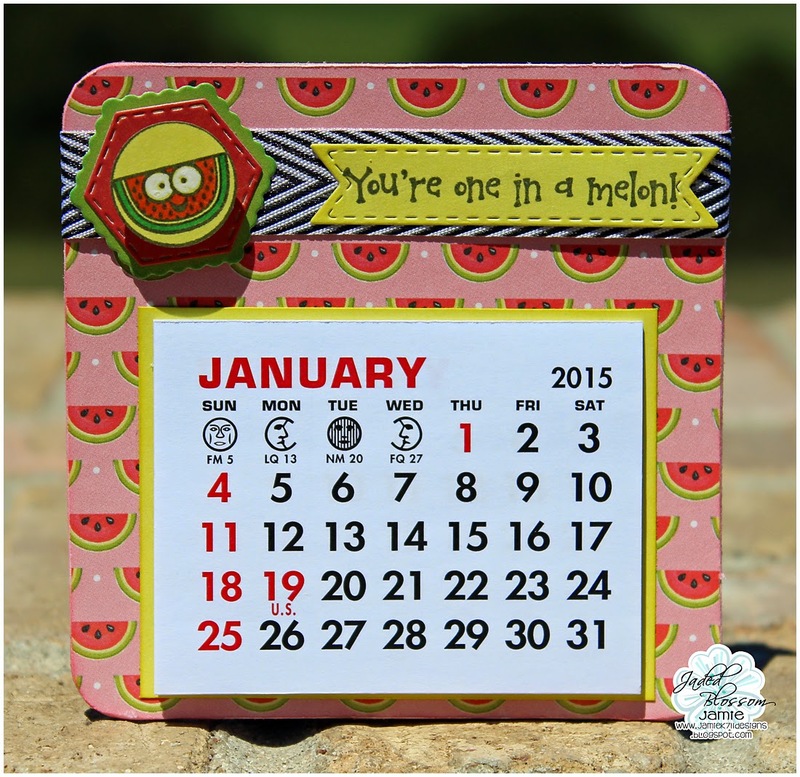 Jamie here to share a couple of Calendar's I created! 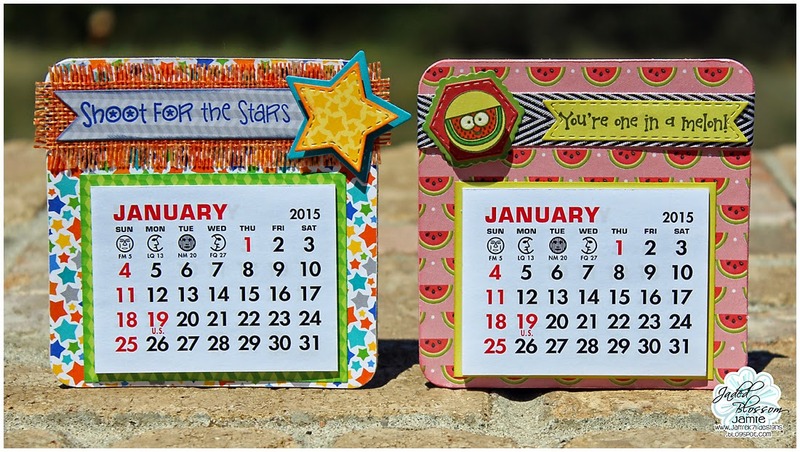 I used the 2015 Calendars and Coasters sets available here. 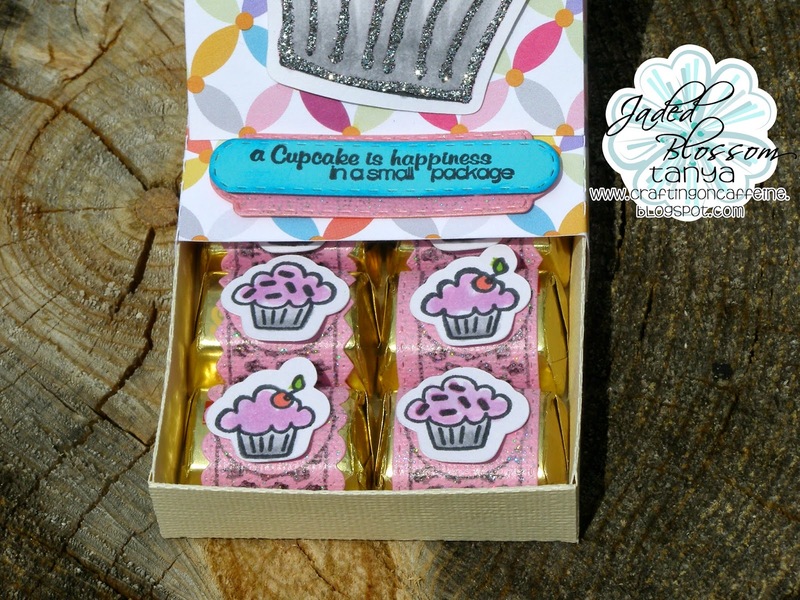 For my first one I used a Fruity Candies stamp, colored it and placed it on top of some Mini Tag Dies. 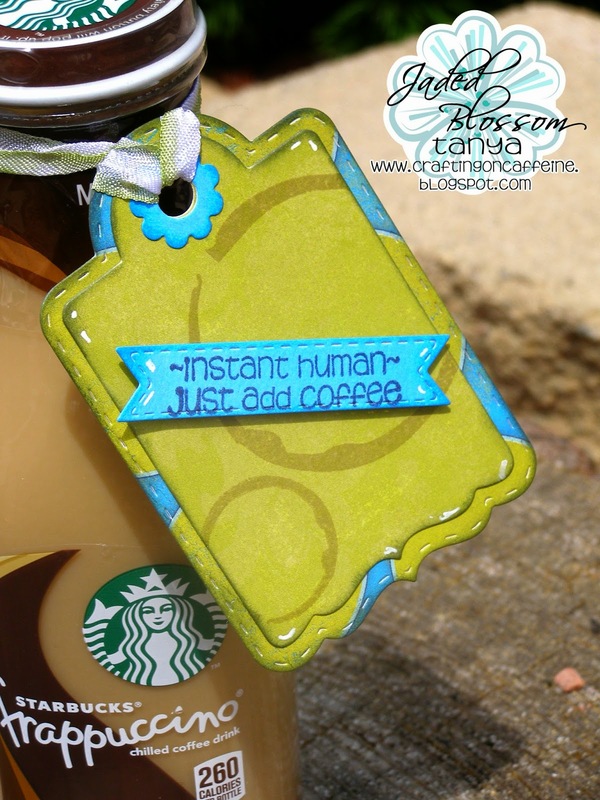 Then I stamped a sentiment from Berrylicious onto a die from Mini Tags 2. 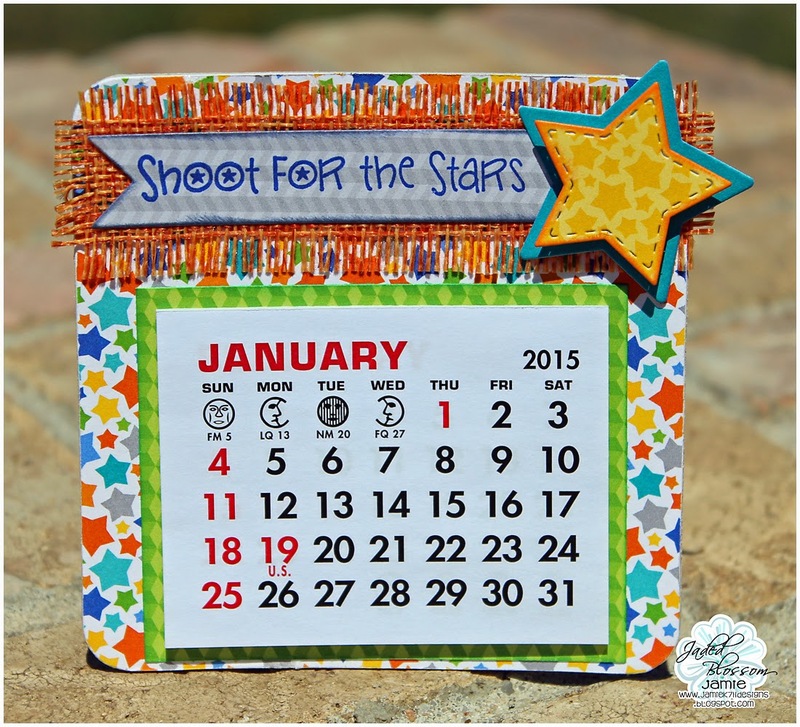 For my second one I stamped a sentiment from Superstar onto the smallest Flag Die and then added a few Star Dies.